It is no more news that the highly rated skype VoIP application and services has been fully acquired by the award winning company (Microsoft Inc.), making it one of their most expensive acquisitions over the years. This acquisition didn’t come as a surprise to most of us who has been using the app for some years, as we normally keep up with latest in tech. Many techies who didn’t favor the idea of merging their skype account with msn thought of other ways of working this out and suggested these top 3 highly rated Instant messaging applications for using all your social networks account with a single log in. Nimbuzz Instant Messenger lets you chat with your buddies on Nimbuzz, Facebook, Yahoo Messenger, msn and the rest other social networks all for free. With nimbuzz you can easily connect your address book and share unlimited photos, make unlimited audio calls & video calls, share files, music and videos with other friends of yours on Nimbuzz, Facebook, Gtalk etc. 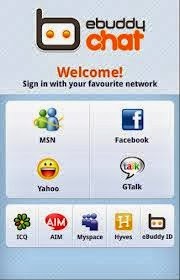 Nimbuzz Messenger is very popular and also available for Windows, MAC, iOS, Android, Blackberry, Symbian and Java feature phones. This is another highly rated instant messaging app, it has been existing for like ages. with pidgin you can easily log on to your numerous social network accounts using the same interface. 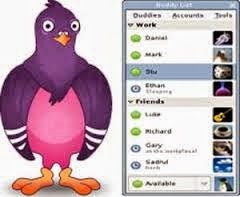 Both old and new networks like AIM, Google Talk, Yahoo, IRC, MSN, ICQ, Jabber, chat networks and the rest are available as options. It comes as a completely free IM application and has versions for different operating system including MAC, Linux and the Windows Operating System. Ebuddy instant messenger just like the nimbuzz is surely one of the easiest way to chat on your favorite chat networks no matter where you are. It combines the power of social media networks all one in one place. The pc version of the ebuddy instant messaging app requires no installation at all, all you need do is visit their website and log in with your favorite social network account and start charting on the go. It is also available for all mobile operating system including blackberry, android, Symbian, Ios and java feature phones. Simply go to http://www.ebuddy.com/ to start enjoying the award winning instant messaging app. You are probably here ‘cos you wanna merge your msn and skype account together and not necessarily the other ones, here is a quick tips for merging your skype and msn account together. · Login with your current Skype credentials. Your account is now successfully merged together. Your friends logged in with either skype or msn will be seeing you online whenever you are available for chat.